It worked for me the first time in Las Vegas. I didn’t even mean for it to happen, but before I could stop it, I was being wheeled into the top floor penthouse suite of the Cosmopolitan hotel – and as I felt the spray of the Bellagio fountains on my face from our balcony, the water soaring up to the beat of Big Spender – I knew I couldn’t tell them that we hadn’t really just become engaged. I mean, she assumed – and I just didn’t correct her. The thing is, the ring was only on my left hand because I’d been hot travelling from LAX and had to move it from its usual home on my middle finger. But when the lady at reception caught sight of it, her whooping ‘congratulations!’ and a corresponding upgrade showed me that special occasions should never be hidden – especially at the check-in desk. 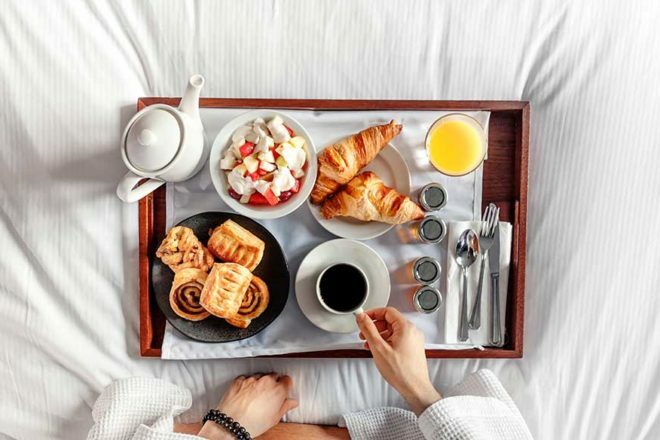 If you’ve stayed in a certain brand of hotel a few times, continuing your loyalty in other destinations by staying with the same hotel brand could prove fruitful. 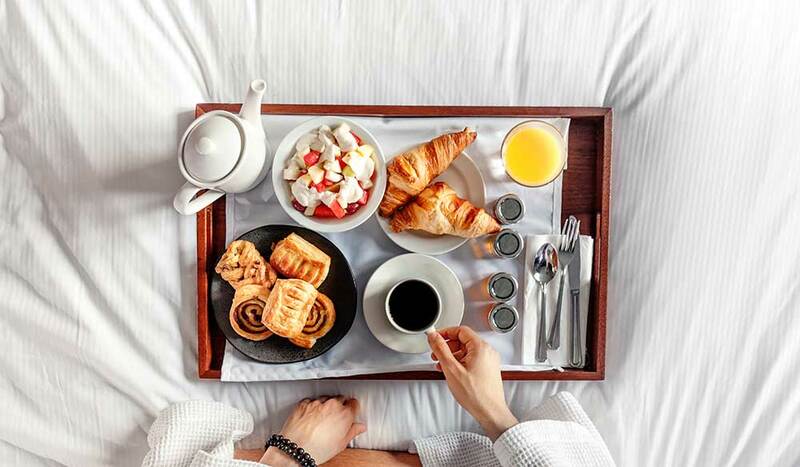 Hotels are more likely to upgrade returning guests than they are first timers – especially if you’re part of the brand’s loyalty scheme. So let them know how much you love their hotels during check-in. If you’re with a travel buddy, tell them so the desk can overhear; if you’re alone, talk to the attendant at the check-in desk directly about how awful your last hotel experience was and how ‘glad you are to be at their hotel now’. Odds are they’ll want to make your experience at their hotel much better – and won’t want to risk a bad review on their own listing. Hotel rooms generally don’t get turned over until around 2-3pm and then from 5-7pm it’s check-in chaos. Aim to arrive at your hotel at around 4-4.30pm so that they have time to check you in – and by then they’ll know whether they will need to upgrade people due to space or not. Also, if you’re prompt, you’re the one likely to be rewarded if overcrowding has occurred – and it’s more common than you think! Travel agents have special relationships with many hotels, so when you’re booking ask what they can do to help you out with an upgrade. If you don’t ask, you don’t get! Handy hint: Virtuoso in particular has incredible relationships with the most luxurious hotels in the world and gets auto upgrades and perks when you use its services to book your trip. There’s no harm in letting a hotel know you’re coming. You may not realise it, but using social media to let them know you’re en route – by tagging them into a Facebook post about your impending arrival and how you’re looking forward to it – can actually work. They see you as someone promoting their brand – and may just want to make sure you have the best time ever so that you tell your friends about it! I was just upgraded at the Hilton at Port Denarau in Fiji – good thing too, because it actually was my honeymoon!